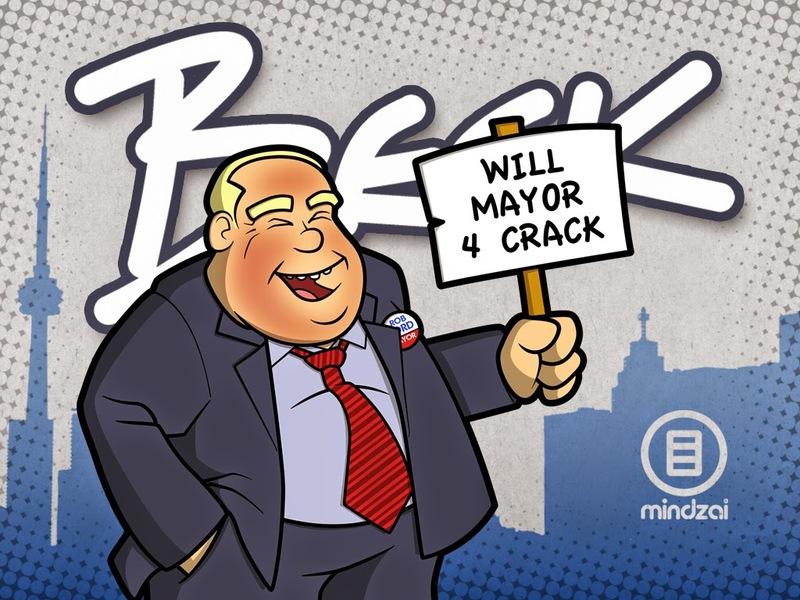 Mindzai currently has a Kickstarter to produce a 5 inch designer art toy, based on one infamous Toronto Mayor. Cartoonist Rodger Beck and Mindzai aim to get the funding to produce this desktop figure which will include several interchangeable signs, each featuring a different statement. Currently, there are still a lot of early reward backer spots left at 40 CAD, which includes the original colorway of the figure to be produced. With reward levels as small as 5 CAD, every little bit helps move the project to being a success. Mindzai has mostly everything needed to go into full production, including the digital sculpting files, packaging, and wax moulds. All that's needed is some additional funding to get this hilarious figure into people's hands. Check out the video and pledge for a reward level. The Kickstarter runs until August 20th and needs 12,500 CAD to be considered funded. Spread the word and lets get something better than Potato Salad funded and created.